This is the International Space Station, where Urthecast will be installing the cameras. Communication has been restored with the International Space Station after the spacecraft lost communication with the ground earlier this morning, NASA reports. The ISS lost communication with the ground around 9:45 a.m. EST, NASA officials said in a statement. It was restored about three hours later at 12:34 p.m. The lost communication link is being attributed to a computer glitch. One of the station’s data relay systems malfunctioned as Houston controllers were updating software on the station’s main computer. “The loss in communications is not considered unprecedented, though it’s considered a cause for concern,” CNN reported, citing officials. Initially, the ISS crew could only communicate with the space agency every 90 minutes as the spacecraft moved over Russian ground stations. Commander Kevin Ford spoke to Mission Control in Houston during one such pass. He said the six-person Expedition 34 crew was fine and all systems seemed to be working properly. This morning, at approximately 9:45 a.m. EST, the International Space Station experienced a loss of communication with the ground. At that time, flight controllers in Houston were updating the software onboard the station’s flight computers when one of the station’s data relay systems malfunctioned. The primary computer that controls critical station functions defaulted to a backup computer, but was not allowing the station to communicate with NASA’s Tracking and Data Relay Satellites. Mission Control Houston was able to communicate with the crew as the space station flew over Russian ground stations before 11:00 a.m. EST and instructed the crew to connect a backup computer to begin the process of restoring communications. Expedition 34 Commander Kevin Ford reported that the station’s status was fine and that the crew was doing well. More details will follow as events warrant. 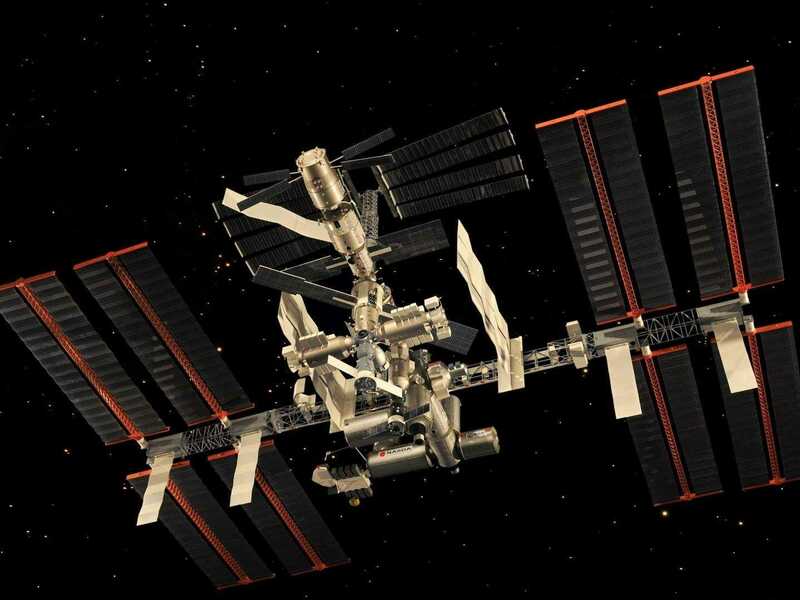 The International Space Station, launched in 2000, is the size of an American football field. It orbits the Earth about 16 times each day. Over the weekend, Canadian flight engineer Chris Hadfield took part in an “Ask Me Anything” session on Reddit, in which, interestingly enough, he answered questions about the station’s Internet connection with ground. “My laptop here onboard communicates to a server in Houston via satellite relay, and that server on the ground is hooked through a computer to the internet. The data rate is very slow, not fast enough to watch video, but perfect for things like Reddit and Twitter. We have the data link about half the time. Looks like Hadfield can now tweet again!